VIDEO: Why is Green Infrastructure Right for Your Project? 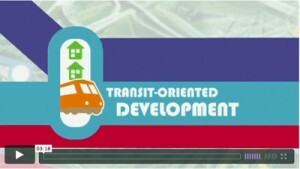 : Learn how your development can benefit from green infrastructure. VIDEO: Redevelopment Forum 2019: Videos of U.S. Senator Cory Booker virtually addressing the Redevelopment Forum and spoken word artist Sean Battle. VIDEO: Green Infrastructure Municipal Toolkit: New Jersey Future’s Green Infrastructure Municipal Toolkit is designed to provide municipal officials with information and resources to help make green infrastructure a key strategy for stormwater management. Visit the toolkit at gitoolkit.njfuture.org. VIDEO: Smart Growth Awards 2018: Brief videos of the seven 2018 winners of New Jersey Future’s Smart Growth Awards, plus a profile of Cary Edwards Leadership Award recipient Governor James Florio. AUDIO: Brian Lehrer Show/WNYC: New Jersey Future Research Director Tim Evans joins Citylab’s Alastair Boone on the Brian Lehrer Show to talk about his new report on demographic migration patterns in New Jersey, and why we’re losing all our Millennials. VIDEO: Regional Plan Association: New Jersey Future Executive Director Peter Kasabach is one of a group of regional leaders interviewed on why the Fourth Regional Plan matters for a region threatened by a changing climate. VIDEO: Regional Plan Association: New Jersey Future Executive Director Peter Kasabach is one of a group of regional leaders interviewed on the importance of increasing the region’s affordability for all its residents, a key recommendation of the Fourth Regional Plan. VIDEO: Comcast Newsmakers: New Jersey Future Executive Director Pete Kasabach sits down with Comcast at the 2017 New Jersey League of Municipalities conference to talk infrastructure, climate change, local redevelopment and state-level planning leadership priorities for the incoming administration. VIDEO: Greenable Woodbridge: New Jersey Future Executive Director Pete Kasabach and Dave Minno from Minno and Wasko talk with Woodbridge Township’s Caroline Ehrlich about the new transit-oriented development there, and about the benefits of transit-oriented development and a diversity of housing choices. AUDIO: State Broadcast News: Chris Sturm discusses the findings of New Jersey Future’s analysis of reported results of testing for lead in school drinking water. VIDEOS: Smart Growth Awards 2017: Brief videos of the seven 2017 winners of New Jersey Future’s Smart Growth Awards, plus a profile of Cary Edwards Leadership Award recipient James Hughes. AUDIO: The Leonard Lopate Show/WNYC: Chris Sturm joins a panel to discuss lead in school drinking water in Newark. VIDEO: What We Care About. An overview of the key land-use issues facing New Jersey in the upcoming gubernatorial campaign, with some recommendations for addressing them. VIDEO: New Jersey Future Forum Focuses on Infrastructure, Retaining Millennials: NJTV paid a visit to the 2017 Redevelopment Forum, and talked to some of our speakers about the important issues facing New Jersey’s redevelopment efforts right now. VIDEO: New Jersey’s Water Infrastructure Crisis: Jane Rosenblatt is interviewed by WMBC-TV about the state of New Jersey’s water infrastructure and how Jersey Water Works is working to address the crisis. VIDEOS: Smart Growth Awards 2016: Brief videos of the seven 2016 winners of New Jersey Future’s Smart Growth Awards, plus a profile of Cary Edwards Leadership Award recipient Al Koeppe. VIDEO: Redevelopment Forum 2016 Morning Plenary: The morning plenary focused on ways to make redevelopment efforts more resilient to climate change. VIDEOS: Redevelopment Forum 2015: Jersey City Mayor Stephen Fulop delivered welcoming remarks, the morning plenary focused on new ways to invest in urban revitalization, and Congress for the New Urbanism President Lynn Richards delivered the luncheon keynote. VIDEOS: Redevelopment Forum 2013: Secretary of Housing and Urban Development Shaun Donovan delivered opening remarks, followed by a plenary session on the state of the state’s infrastructure and innovative ideas from elsewhere for upgrading it. John Fregonese delivered the luncheon keynote. VIDEO Part I: The Growing Conflict Over Smart Growth: New Jersey Future Executive Director Peter Kasabach participates in a panel discussion sponsored by NJ Spotlight. VIDEO Part II: The Growing Conflict Over Smart Growth: New Jersey Future Executive Director Peter Kasabach participates in a panel discussion sponsored by NJ Spotlight. AUDIO: Research Director Tim Evans discusses Union County and the 2010 Census.